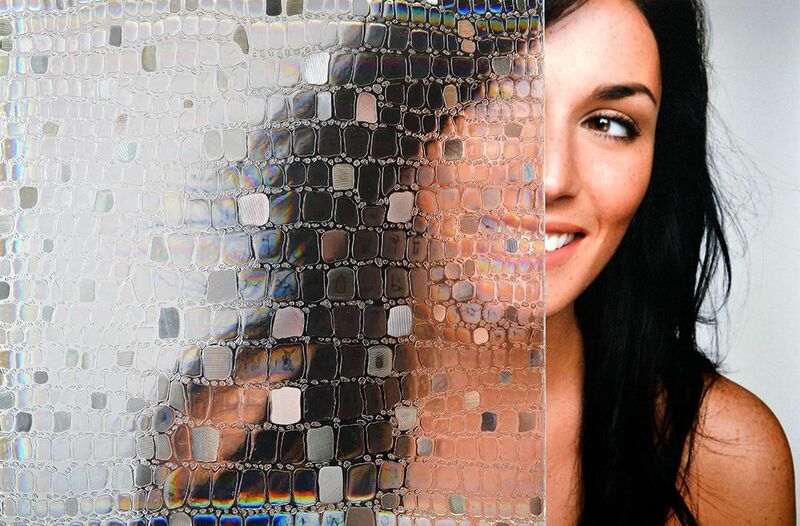 This film is colorless, translucent and vinyl, which semi-obscures visibility. 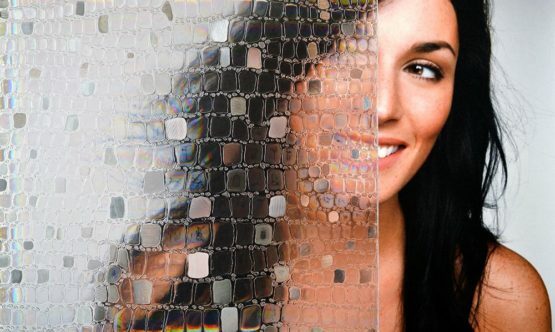 The pattern has various sizes of prism circles and rectangles, and with the right lighting, this privacy film will sparkle. 35” wide.